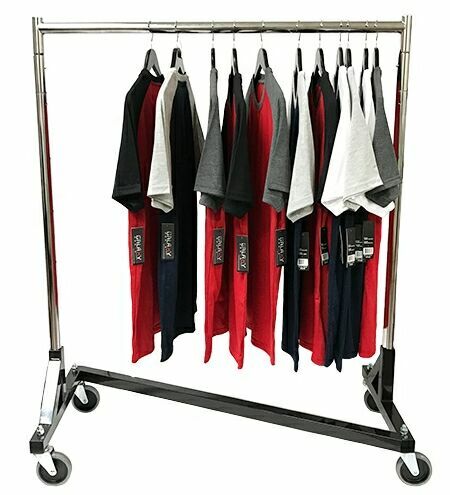 Compact version of popular z-rack 41"Long, strong and heavy duty, this rolling rack is great for re-stocking sales floor with items from dressing rooms. Height adjusts from 47" up to 70''H. Rolls easily on 4'' industrial casters with brakes. Uprights and hang bar are chrome finish. Racks can nest together for easy storage when not in use. Weight: 26 lbs. Color: chrome with black base.